When JBL contacted me, offering up a number of their latest products for review, I told them to skip the rest and just send along the Charge 3. It had been a little while since I’d had a quality dunking. Sure there’s the Edwin duck and a couple of fitness bands designed to be splash proof, but it’s been a full month since I played around with the the UE Roll 2, so I’m about due for a good speaker dunking. 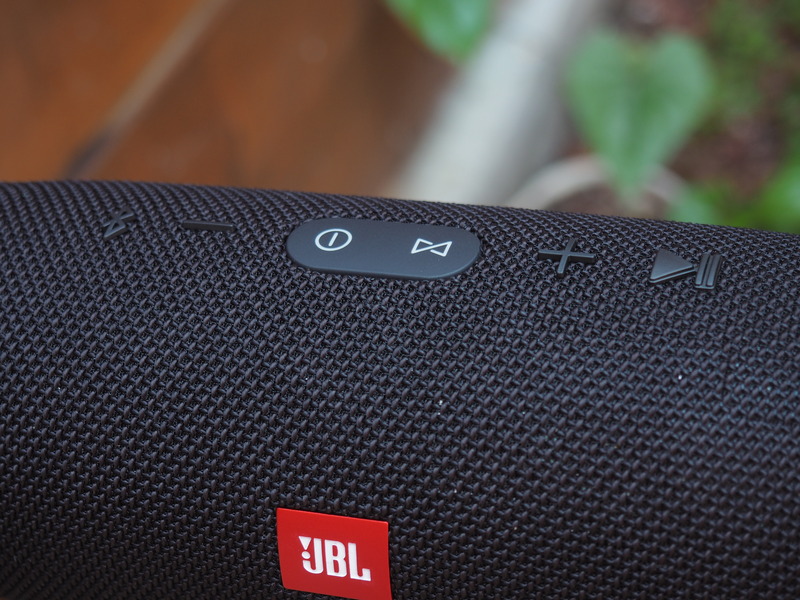 In the middle of the speaker is a big JBL logo and along the top is a row of big rubberized buttons for power, volume, Bluetooth, play/pause, and syncing. Along the bottom are four always-on lights letting you know how much, well, charge is left in the old Charge. 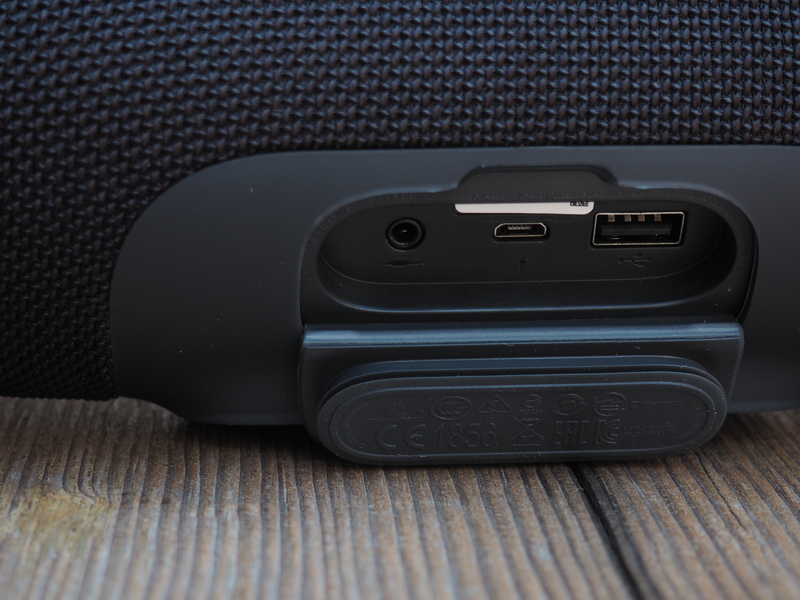 On the back is a rubberized, ruggedized door that seals up the device’s ports: auxiliary, microUSB for charging and a full-sized USB port that gives the line its name, letting you top off your mobile device via its massive 6,000mAh battery, which promises 15 hours of playback time. The bulk of the sound output comes from the front of the speaker, though it’s flanked on the sides by two big passive radiators that visibly vibrate to offer up big, thumping bass – an impressive level for what is ultimately a pretty small speaker. 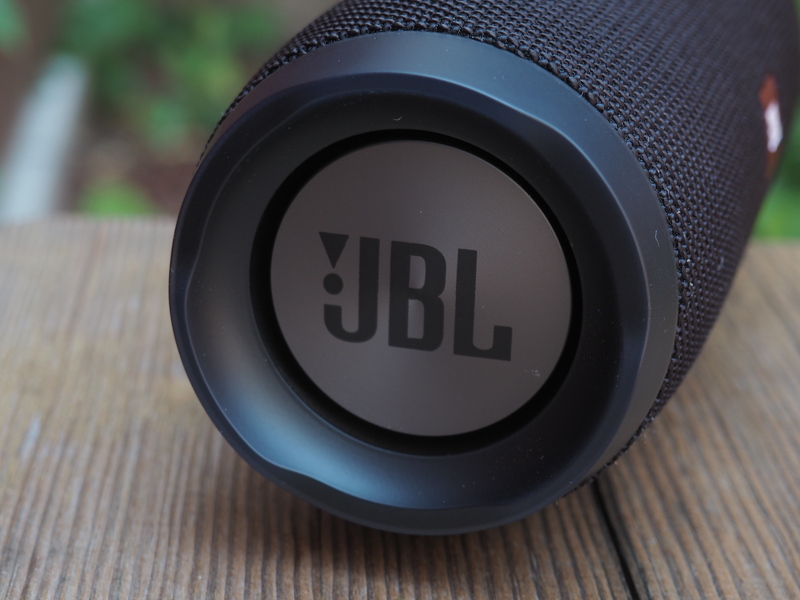 The speaker’s cylindrical form factor also means that you can stand it up vertically, if you need to save a bit of space, vibrating the surface it’s sitting on in the process. The Charge’s sound isn’t great, sadly. You can pick out a pair of better sounding speakers for $150 with little problem. In fact, the big, booming bass does feel a bit like overcompensation. And while the speakers do get extremely loud, it comes at the expense of fidelity. These aren’t everyday listen to the subtle nuances of a Bach sonata speakers. These are big, bass bumping at the pool side party speakers – and the ability to accidentally knock them into water certainly puts them in a different class than most of their similarly priced competition. Oh, and they’ve got a built-in mic, so you can also take that important business call in-between games of Marco Polo.